Plus Coaching Tools to Use! Failure is a fact of life. It is also one of the key elements in building confidence. To find what works, you have to also discover what doesn’t – and this involves failing every now and again. Unfortunately failure has consequences, tangible in some cases. But almost always the emotional consequences of shame, regret, blame follow failure. And too often this can lead to self-doubt, avoidance and a reduced sense of well-being. Laura, (*Name changed to maintain privacy) a mid-level leader at a large organization found herself with a pink-slip in hand and some difficult decisions to make. She had been employed with this organization for most of her career, but during her last few years, she had worked on the team of an unsupportive director whose management style eroded Laura’s confidence in her skills and her work. The icing on the cake was a performance review immediately following Laura’s lay-off notice that was harshly critical, and felt like a personal attack. While more senior managers and others who had previously directly supervised Laura stepped in and told her they had no problems with her performance, this was not enough to assuage Laura’s nagging doubt: “Maybe I really am a bad manager”. She was feeling exhausted and reactive. Her zest for doing her work had dissipated and she had been feeling increasingly ostracized by the team. This had all taken its toll on her self-esteem and her health. I had worked with Laura previously as she took on a high-profile assignment under a different director. During our coaching assignment and her work with that team she was confident in her approach, and her communication and leadership skills grew. She received many accolades from co-workers, her immediate director and other senior executives throughout the organization. It was disheartening to now see what a negative impact working with this new director had on her. Taking time to identify how the story they are telling themselves about the failure might be eroding their resilience and their ability to bounce back and learn from the situation. Following a failure we all too typically internalize the situation letting the failure enable our inner critic. Or we might offload our shame by blaming outwardly. But both these avenues can lead to avoidance of the experience and block us from the powerful opportunity a failure provides to learn and grow. If we let the shame flourish, our inner critic is now armed with more ammunition to avoid taking a risk in the future. If we let blame flourish, we don’t gain an understanding of what our part was. And we don’t develop our self-awareness in ways that let us leverage the learning and stimulate our sense of confidence. To support Laura’s growth through this failure, we first sat with the emotions and then we unraveled the stories she was making up about the situation. We separated out the distinction between external facts and what she was internalizing, such as, “I feel bad” versus “I am bad”, or “the situation was untenable” versus “I am incompetent”. The goal with this step is to cultivate awareness of how our thinking can be guided by our emotional and reactive state – so we can make better decisions. Taking knee-jerk actions from a place of, “I am bad” will have a different set of outcomes than acting from, “the situation was bad and I have learned that…”. This is a great place for the coach to draw on the competency of curiosity, and support their client in drawing on self-compassion rather than judgment. Once Laura had identified her emotions and their impact on her behaviour, plus the objective facts of the situation, she was better able to grant herself some compassion and forgiveness. From here we could then develop some goals and strategies. How this worked out: Laura had enjoyed a mostly good career with many interesting challenges that had supported her leadership growth and her professionalism. She realized she had a deep sense of gratitude for all she had gained, and she was very proud to have worked for what had mostly been a terrific organization. Her re-connection to the more compassionate voice of her inner sage helped her lean into this gratitude. She then used this to fuel her desire to exit gracefully, while drawing on her value of professionalism and the admiration she held for her co-workers. Overview: To address this second goal, and with the truth of Laura’s experience honoured, we used the coaching skill of curiosity. Then we reviewed her energy levels and finally worked to deepen her well of resilience. How this worked out: Now that Laura had sat with the emotional experience, she was able to look at the key lessons more objectively. She realized that her emotional responses to being ostracized by her director and team, had led to ineffective behaviours and communication that may have further disconnected her from the team. As she learned that she had played a part in the situation, she realized she would need to develop better strategies for dealing with difficult interpersonal experiences in the future. Laura also learned that she had ignored the impact of the situation on her well-being which resulted in burnout – and this affected her ability to engage more effectively. So, to address the sense of burnout and stress from finding herself in what felt like such an unfair situation, I developed an in-house energy audit. This helped Laura map out what balance and well-being look like for her. Finally, to engage her in her sense of accountability, we worked to establish self-care habits that support her in deepening her well of resilience. Laura came to recognize that she was denying the impact her work environment was having on her. She created new strategies to recognize early warning signs, and develop new skills to nip work relationship problems in the bud – or know when it’s time to move on and protect her well-being from being eroded. Overview: To address the third goal, we looked at her strengths – and crucially how it felt to use those strengths. We used visualization to create a vision statement, and once she had her new job, we worked to create an on-boarding road map to give Laura the best chance for a strong and smooth start at her new role. To help Laura quickly re-engage in owning her strengths we used a simple online assessment tool developed by Gallup called Clifton Strengths. We also pulled data from all her previous performance reviews, which had up until this juncture, been very positive. We chose the short version of the Clifton Strengths tool to avoid bogging down and to help focus in on her top five core strengths and how she uses them. Because this failure had been so emotionally wrought for Laura, we slowed down this step. We spent time exploring each of her strengths digging down into her somatic sense (embodiment) of the strength. Connecting to the feeling she experienced when operating from signature strengths helped her reconnect with how it feels to be at her best. 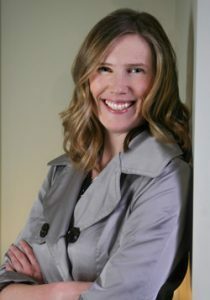 Laura also reconnected with her sense of confidence in her skills and wealth of knowledge. Thus, she was more confident in asking key people for their assistance and was delighted to discover an overwhelming amount of support, and this helped to further dispel her fear that she was as incompetent as her director had conveyed. The support Laura received assisted her in a brief and successful job search. We also used visualization to create a vision statement for what her desired, supportive, engaging workplace should look like. This vision statement meant that Laura was better able to evaluate potential employers and workplace cultures. Finally we worked together to create an On-boarding Road Map. We identified strategies that would support her in effectively assessing and aligning with the new workplace culture and establishing her priority goals for her first 3 month. These goals would have her feeling her most confident, and launching a strong beginning in her new job. Laura was highly satisfied with her role with a new employer and began her new role with a clear road map for building successful relationships and quick on-boarding. Helping clients connect to the emotions they are experiencing when they’ve had a failure, supports them in separating out the facts and lessons from the shame they may be feeling. This is an important step in building resilience and confidence and helps clients leverage the opportunities to turn failures to their advantage. And it’s important to take the time to identify the stories clients tell themselves about their failures. Curiosity is an important skill here for both coach and client. 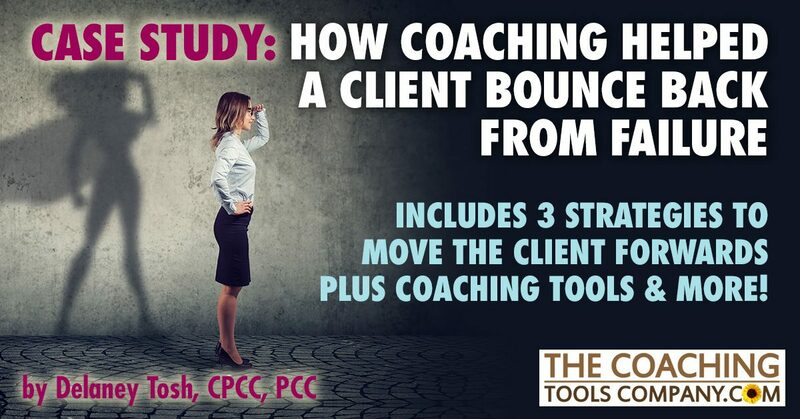 Once clients see a more objective truth in their situation and own their feelings, there are many tools and strategies that can be used to move the client forward. These include strengths, self-care, visioning and asking for help and support from a place of strength. The Art of Somatic Coaching: Embodying Skillful Action, Wisdom, and Compassion by Richard Strozzi-Heckler. This discusses how to build body awareness and link actions, emotions, thinking and energetic states to better integrate who you are with how you lead. 10 Essential Questions to Help Your Client Identify Their Strengths!